Sponsored Post: This post was sponsored by Panchhi a company offering high quality 100% organic cotton muslin baby products and only uses natural printing (no chemical dyes!) I don’t post many of these because I only accept sponsored post opportunities from companies offering services or products I already use, and have an ideology I can get behind. A baby’s skin is continually developing in the first year of life, making it susceptible to infection – premature babies have even more sensitive skin, as it did not have enough time to properly develop in the womb and needs extra attention while it plays catch up. What touches this silky skin matters and deserves intention and attention. 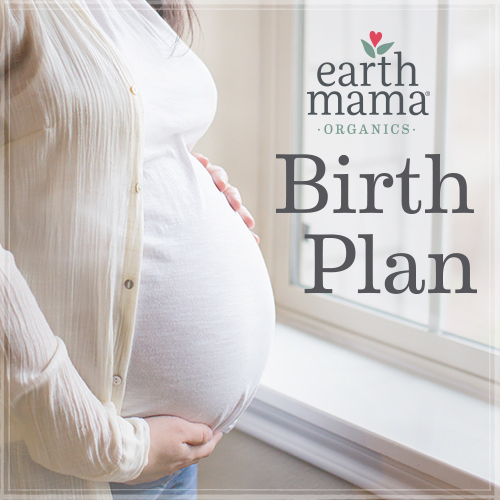 Extra Tip: To inoculate your baby with healthy bacteria, rub their bare skin on yours. This is one reason why skin-to-skin is so widely encouraged. Luckily, with companies like Panchhi coming into the textile-selling scene (companies that are conscious of both the sensitivity of baby’s skin and our environment) it’s easier to find products we don’t hesitate to wrap our children in. 100% organic cotton muslin is a favorite textile for many skin savvy parents (as it’s gentle on the skin, and helps to prevent overheating and sweating), but what about the dye that creates those cute little images and catchy sayings? Does the composition of that dye matter? Recent research has found that by-product polychlorinated biphenyls (PCBs) have been found in certain colors of printing ink used in children’s clothing. The International Agency for Research on Cancer and the Environmental Protection Agency classify PCBs as a “probable human carcinogen” and The National Toxicology Program has found that PCBs are “reasonably likely to cause cancer in humans.” In addition, people exposed to high levels of PCBs have experienced irritation in the lungs, skin, nose, and eyes. PCBs have also been found to disrupt hormone function and the immune system. So yeah, not a friendly group of 209 chemicals that share a common structure. Because the presence of the PCBs in dyes isn’t intentional, it’s tricky to know what clothing companies to avoid – but we do know which companies to seek out – those that use natural printing. Panchhi practices the ancient art of natural printing, where colors are extracted from sustainably harvested plants and herbs – no harsh chemical dyes are used on their organic products. While these plants don’t offer the same palate found in clothing that utilizes chemical dyes, they offer an array of soothing colors made of Ayurvedic (an alternative form of medicine that focuses on the mind-body connection) herbs believed to produce a positive aura and calm in the wearer of the clothing. And, if your baby is the one wearing that positive aura and calm inducing clothing, you’re in for a good day. Haritaki – Believed to help in detoxification, rejuvenation and in increasing positive energy and awareness. Maddar – Believed to heal various skin ailments, jaundice, irregular menstrual cycles and kidney dysfunctions. Pomegranate – Believed to relieve constipation, inflammation, body pain, along with boosting memory, fighting infections and promoting a healthier heart. Turmeric – Believed to have healing properties for skin problems, cough, cold and fever. Indigo – Believed to be helpful for people who get excessively hot and sweat a lot. In addition, it is believed to have healing properties for respiratory problems and is used in many parts of India to treat mosquito bites, fast healing of bruises and relieve pain. Indigo is also believed to help calm down, relax and sleep peacefully. P.S. I’ve noticed that all the organic cotton products I’ve bought for my son over the years always outlive his non-organic cotton items, making up for the higher price tag of the soft stuff. Sponsored Post: This post was sponsored by Basic Invite, a company offering high quality stationery and custom invites and announcements for weddings, births, graduations, and all of life’s other special moments. I don’t post many of these because I only accept sponsored post opportunities from companies offering services or products I already use, and have an ideology I can get behind. My grandmother recently told me that if I can learn to weave spirituality into mundane tasks my life would grow flowers where there once was boring mud. Strangely, this made me think of the act of sending out thank you cards and “real” (versus digital) invites. My son’s birthday is coming up, and I know that every aunt, granny, and traditional friend that gives a gift will expect a handwritten thank you note in response. My usual response would be, “ugh, do I have to?” But, what if I tried to weave spirituality into this task? What would that look like? 1. Find joy in seeking out a beautiful card: I recently discovered that I love navigating card designs on sites like Basic Invite until I land on The One. And then, I easily while away an hour tinkering with colors and fonts until everything is just right. When I begin to feel like I should be doing something “more important” I remind myself that I’m crafting something that will serve as a reminder to the recipient that I’m thinking of them, or want to share an exciting piece of my life with them. Speaking of which… my husband and I are thinking of creating baby number two, so I decided to begin manifesting that baby by ordering a sample of a baby shower invite from Basic Invite with her (I’m assuming it will be a girl) future name and potential birth date. Weird? Kind of – but it’s a fun and tangible reminder of the future. 2. Have fun with written messages: As easy as it is to scribble a generic message in cards that require a custom message, I feel the meaning and joy being sucked out of the card with every “Thanks for the birthday gift! My child loves it!” – blah. I don’t need to wax poetic about the toy I’m sending a thank you for, but it can be fun to think of a quick anecdote or witty comment to share about the gift and how it’s being enjoyed. 3. Connect to how appreciated the recipient might feel when they receive the card: Although I don’t hold it against someone for not sending a thank you card (because I’m usually that person!) I always enjoy receiving a real-live-non-email message in the mail. The card makes me think of the person who sent it, and evokes that warm and fuzzy feeling of connection. So, as I’m crafting a card I think about how the card will make someone feel, and use that idea to help me relish the process. This little nugget is now a giant 4-year-old, but it was fun to go back in time and create this sample announcement. 4. Don’t burn out: I know folks who send a card to everyone down to their postman (or woman!) for every holiday, anniversary, or lost tooth (seriously) and then report a sense of resentment over this tedious obligation they’ve laid upon themselves. Instead of sending cards for everything, I’m going to hold out for the special occasions when I feel inspired to connect with loved ones via an aesthetically pleasing card and a personal note (in the case of a thank you or congratulations). 5. Have my son participate in the thank you card process: The first time my son cared more about the present portion of a package, than the cardboard or paper exterior it was wrapped in, he quickly ripped into one after the other with little regard for who gave it to him, or how special that gesture was. So, I’m now going to be one of those super fun moms who has my child pick out and write thank you cards with me so he can tune into the importance of acknowledging the love behind gift giving and receiving. You’re welcome son. If you want a feast of gorgeous card options, like chic baby shower invitations and birth announcements, check out Basic Invite. And, if you’re like me and need to see something from every angle before making a decision, you can order samples. Happy selecting, customizing, and sending!